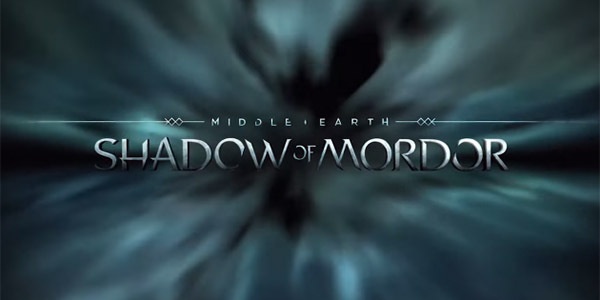 Shadow of Mordor is an M for Mature rated open world RPG that is in the same style as the Batman Arkham series. It takes place after the Hobbit but before Lord of the Rings. A Ranger named Talion is guarding The Black Gate of Mordor. Talion, his wife Loreth and his son Dirhael who is also one of the guardians are over run with Uruks from beyond the gate. Both his wife and son are killed in front of him but for some reason he does not join them in the afterlife upon his death. 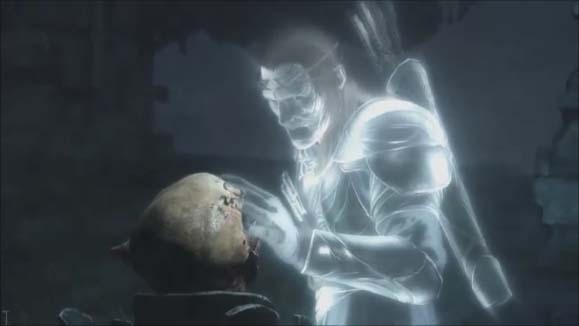 Instead he is revived as some form of flesh but when he is killed is brought back each time. He returns to life because he has been linked to the spirit of an elf who is stuck between worlds but he does not remember who he is and why they can use a mystical power called Wrath. Together they will track down the ones who kill Talions family and find out who this elf spirit is. Shadow of Mordor finds perfect ways to mix close quarter combat with stealth action and third person shooting. There are also times where you are riding the Caragor mix in with the already smooth combat controls. We had almost no issues at all with game mechanics during combat. The fighting is fast and there are times you are surrounded by dozens of Uruks where you can just hit a button and counterattack over and over. We were able to get over a 100 hit combo several times in the game because the controls are so responsive and never miss a beat. Mordor also makes great use of side missions. In this game every mission counts. There are certain experience points that you can only get by doing the side quests. You can’t increase the power of your weapons until you do the side missions that powers them up. 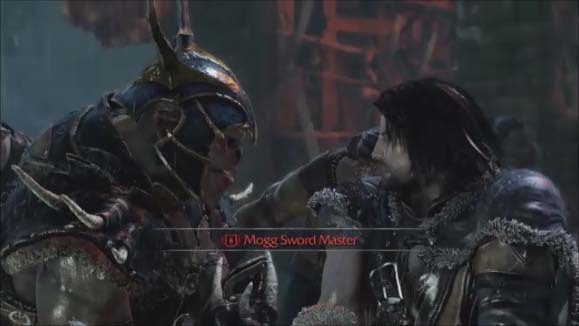 There are no pointless missions you have to fight your way into Uruks strong holds and take out captains, rescue slaves or complete a mission is a certain way. They even interweave challenges maps into the game as part of the side missions and that is the best way to do challenge maps. There are is only a few main boss battles in the game but there are as many Uruk Captains and War Chiefs battles as you want. You can track them down, take them out, put them under mind control and pit them against each other. We have never played anything like it. And, if one of them kills you it is good and bad. If you die then you don’t get the rune they are carrying to attach to your weapons but if one of them kills you then they get more powerful and when you fight them again and win they you can get a more powerful rune. You can even send death threats up the chain of command to the making it more likely that they will drop an epic rune and those are the good ones. Shadow of Mordor took us 35 hours to get a 100% game completion rate and that is really low for a RPG. There are 166 missions in the game and only 20 of them are part of the main story. This should reinforce the point that every mission matters. After we maxed out all of the power ups there was only a hand full of missions left. Meaning if you don’t do them all then you will not have enough experience points for many of the upgrades. The replay value is very high. You will just want to replay the story and charge into a strongholds and just start creating havoc and attacking every Uruk you can find. 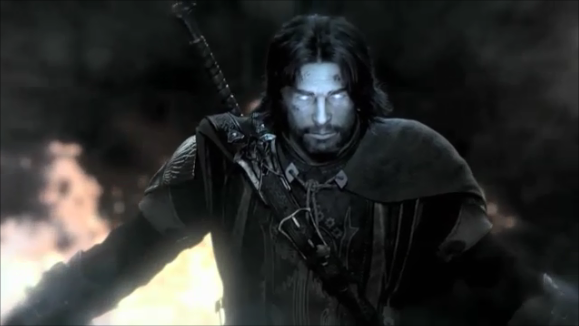 Shadow of Mordor brings some new life to J.R. Tolkens work in the video game world. With a strong foundation to start with in the story department the game makes great use of the world already created. Shadow of Mordor is worth paying $45 for. We could not stop playing and the combat is really good, like God of War, Batman Arkham good but 35 hours is a little short on game play for an RPG.